Improve your aging programs or senior center with senior center software technology that tracks your participants’ every move, electronically. Reduce paperwork, improve services and perhaps most importantly, make reporting accurate and easy. MJM Innovations understands your priorities and the needs of the population you serve. The transaction tracking systems, hardware options (touch screen computer and point of sale terminals), web application and card technology that we develop and manage are specifically designed for government agencies and senior centers. 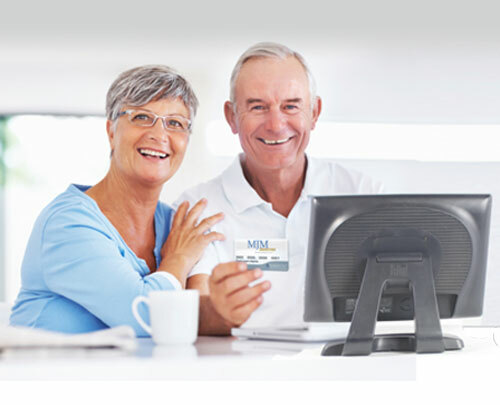 MJM’s innovative senior center software can resolve your cost and service issues with flexible management and technology solutions. Ready to learn more about MJM’s aging software solutions? You know how challenging the task of providing senior services can be. Between handling mountains of paperwork and reporting on participant data, endless hours of work and costs can pile up over time. MJM’s senior center software solves all of these problems and more. Our web-based tracking application allows you to collect and import participant data instantly, saving you hours on reporting and thousands of dollars in costs. Our easily-integrated swipe card technology sends instant data to our web-based server while eliminating paperwork for your clients. The precision and reliability of your data will allow you to cut costs dramatically while getting funding increases where they are needed the most. In addition to our integrated aging software solutions, MJM goes a step further to provide ongoing management support for all your reporting needs. MJM takes the work of tracking and reporting off of your hands so that you can focus on what matters: serving the needs of seniors. Imagine: a solution that dramatically reduces costs and time investment while making life easier for staff and participants alike. 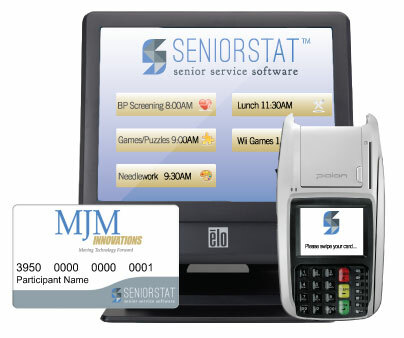 With MJM Innovations’ unique senior center software custom-tailored to the needs of your organization, that reality is just a phone call away. Reduce paperwork for your client to a simple card swipe: no more manual forms! Learn how you can get real benefits with little or no budget pain. We provide you a comprehensive and turn key solution. For more efficient and effective client service, call (866) 664-1277 or Contact Us.